Folks, excuse my recent absence. June was a slightly chaotic (but in a good way) month for me this year. From a Palm Springs bachelorette party, to visiting out-of-towner friends, to a theater outing to see Les Misérables, to Taste Of The Nation volunteer work, to my nephew’s Star Wars birthday party (more on that on a separate post), and to a Cancun vacation, I hardly had any time left to watch The Big C and Girls. Alas, tropical vacation is over and I reel myself back to get to routine again. When one entire month is absolutely booked with commitments and social events, you’ve got zero time to do anything for yourself. You know, the simple but self-enriching activities you routinely do to be your best self. I definitely missed the rubbery smell of my yoga mat. I stopped getting up early to play tennis on weekends. I am barely joining the Fifty Shades of Grey bandwagon (errr, excitement rather). I left my clothes at the dry cleaners for three straight weeks. Shopping wasn’t on my mind… not even online shopping! Yikes! Despite putting off a few of my routine things, I actually declare June being the best month of 2012 thus far! June was spent with dear loved ones – family and friends – as well as new friends. Plus, I got to end the month with a relaxing time off in Cancun for eight days. June was bomb. Now that I lengthily explained my inexcusable absence, I end my “I’m back” post with David Lebovitz’ Cranzac Cookies. What are Cranzac Cookies anyway? It ‘s David’s spin on the traditional ANZAC biscuits which are oat cookies said to be shipped to soldiers of the Australian and New Zealand Army Corps (ANZAC, get it?) because it didn’t spoil as fast and it’s a pretty hearty cookie fit for long-distance shipment. 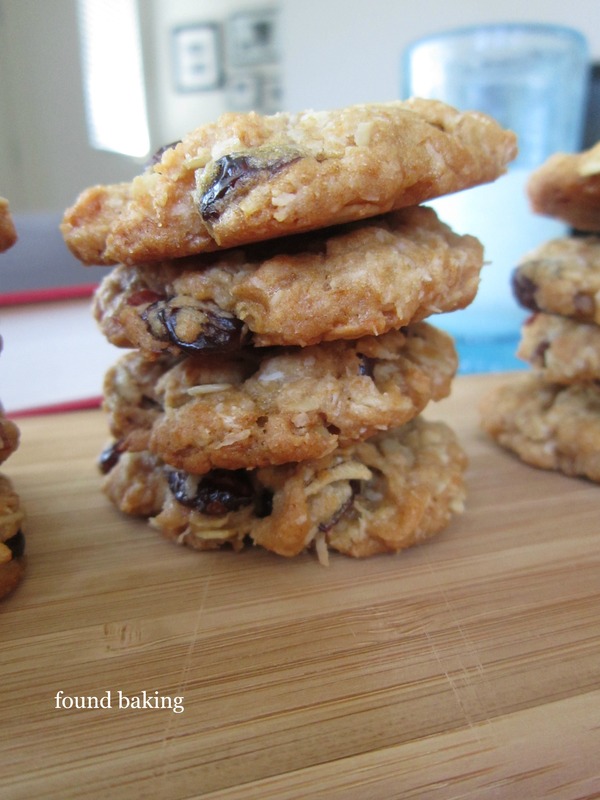 David’s version has cranberries in addition to the oats and coconut. 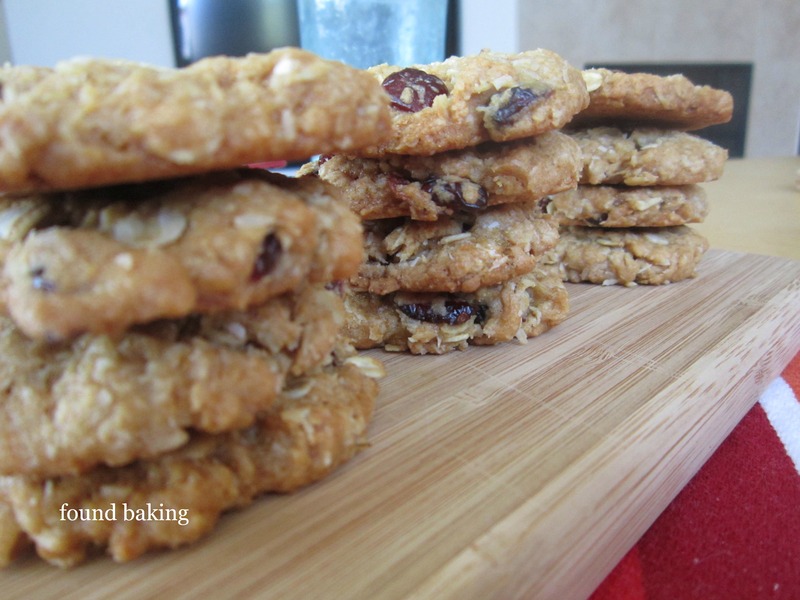 I like to describe it as a chewy granola cookie. 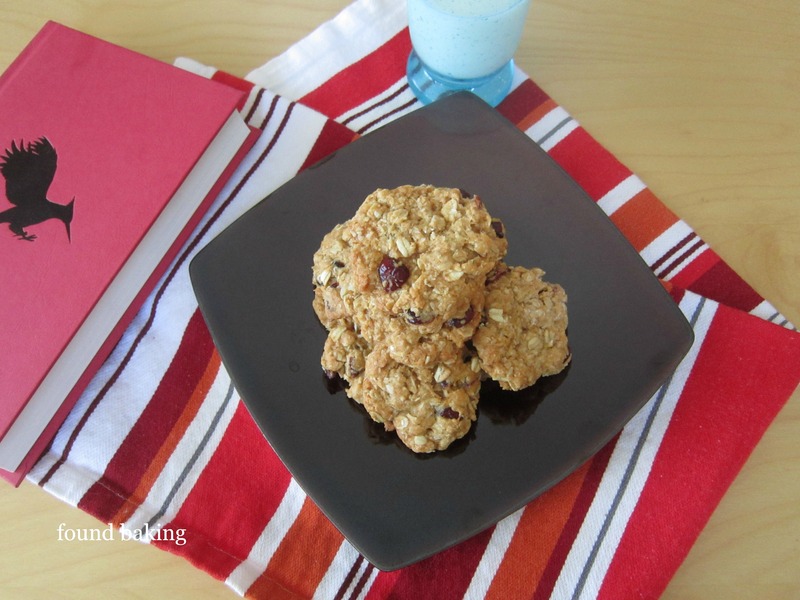 Cranzac Cookies appears on David Lebovitz’ latest book, Ready For Dessert. Just as a reminder and a note to any new readers, I stopped posting recipes here on the blog in respect to the original owner of the recipe… except if I made any adjustments to it. Instead, I post a link on how you can get the recipe – either a link to how you can buy the recipe (cookbooks for example) or a link to their website. You can order Ready For Dessert on Amazon here. Hope you are having an awesome summer of 2012 so far! Stay cool everyone.